It’s time for FG to limit number of chidren per family – Afe Babalola – Royal Times of Nigeria. 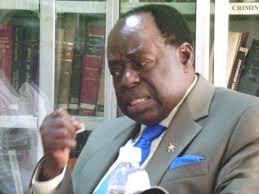 Chief Afe Babalola (SAN) on Thursday while delivering the 2017 annual lecture series of the Faculty of Education, Obafemi Awolowo University, Ile Ife called on the Federal Government to create awareness on the need for families to limit the number of their children to two, Punch reports. Babalola said; “The time has come for the government to frankly convince the people of the need to moderate the number of children they raise. I, on my part, would recommend only two children per family. He also said that private universities should not only be allowed to benefit from the TETFUND, the government should also give them grants because they are assisting the government to provide one of its social services to the people.